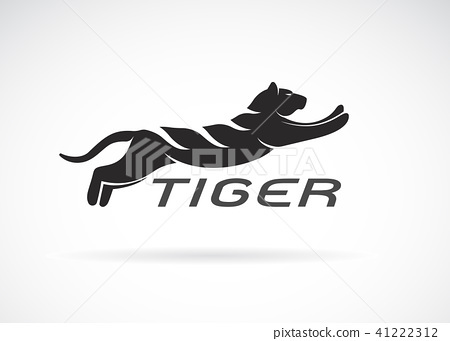 Vector of black tiger design on white background. 스톡 일러스트: Vector of black tiger design on white background. Vector of black tiger design on white background. Wild Animals. Easy editable layered vector illustration.